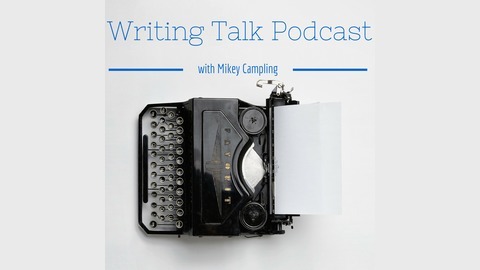 A Podcast on the Craft of Writing by Author Michael Campling. Episode 31 – How Do We Show Instead of Telling? Episode Notes In this episode, we’re discussing the difference between showing and telling in our writing. Why is it important and what can we do about it? It’s a commonly touted piece of advice that we should show rather than tell in our writing but it only goes so far. Advice shouldn’t be followed slavishly at the expense of economy. Sometimes it’s quicker for the reader if we just tell them what is happening. We have to watch out for what might be called stage directions. Excessive turning, standing, walking can be irritating. But visual clues are very useful in moderation. A small action can speak volumes. someone looking away might be lying, but maybe they just can’t face a person or a situation, and In turn, that motivation might be linked to an underlying theme, e.g. A long-buried conflict or a repressed emotion. Stage direction is sometimes necessary to avoid the sense that people flit from place to place. One trick is to say that someone appears at the character’s side. Telling the reader a character’s feelings is often better done through showing, e.g. The dry mouth, the pounding heart. This gives us a chance to play around with the character. People are notoriously bad at understanding their own emotions and motivations. They also lie in order to protect others. Readers know this and will pick up on the clues that you throw down. So if someone says they are fine, the way their knuckles are white as they grip the steering wheel tells a different story. Just to add another note – we should beware of on the nose dialogue: one character over-explaining the plot to another or perhaps spelling out the character’s’ motivation or state of mind. It’s easy to drift into this while trying to show rather than tell, but it isn’t much better. In real life, people are often vague and muddled in their speech, and they react at an emotional level. Unless they’re in a professional role, they may not spell things out calmly. And even then, their relationship with another character will come into play, e.g. are they friends? Does the pathologist share a joke with the detective as they discuss the autopsy? Dialogue can be an economical and interesting way to suggest all kinds of undercurrents, so it’s good to use it rather than squandering it in dull exposition. Some are more tolerant than others. In epic fantasy, readers are happy to plough through a certain amount of worldbuilding. When the quest is everything, a passage of description can work well, but I still think you would be wise to watch out for shoe leather scenes. Perhaps add some action, a significant event, some dialogue, or a thought process. Liven it up. If you find yourself writing “there was” or “there were” or something similar, watch out. The verb to be is weak. e.g. On a hill, there were six standing stones. We could make the stones the subject: The six stones stood on a hill. But even better, put the character there: She ran to the hilltop, her breath tight in her chest. Her leg muscles burned, but she didn’t slow, didn’t stop until she reached the summit and the six standing stones loomed from the early morning mist. I’m not just telling you that the stones are there, I’m weaving them into the character’s experience. Why is her breath tight in her chest? Is she just tired from the exercise, or is she tense or afraid? Why did she run? What’s the hurry? It’s early, so why go at all? What’s so special about these stones that the character is haring up there in the first place? These are the questions I want to put into the mind of the reader. My rule of thumb is to stay in the moment. Use thought or dialogue or action rather than spell out a state of mind. Get under the skin of your characters, and then you will be able to offer a doorway into their souls. Your readers can walk through that portal for themselves. Don’t be afraid to let your characters ask questions that you can’t answer. What the hell am I doing here? After all, some of literature’s most quoted pieces are the monologues of Shakespeare’s characters. Uncertainty is fine. Complexity is fine. Understatement is generally stronger than overstatement. On the other hand, skipping over a scene to the outcome might be cheating the reader of an enjoyable scene. Story is all about build up. Telling becomes a problem when we forget the slow build up and jump straight to the conclusion. We’re not writing a police report but constructing a narrative. Let’s leave a trail of breadcrumbs and see if we can get people to follow it. Where the trail ends is up to us. 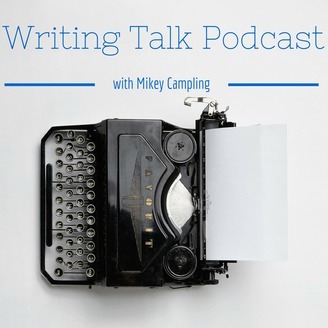 Episode 30 – How do we write convincing endings for each chapter? Episode 29 – How do we define engaging and believable characters in our fiction? Episode 28 – How do You Deal With Overwhelm?